The Trusted PCI Compliant leader of InfoTech Solutions since 2001 in helping business and people in creating web presence thru providing support, secure web hosting, web design and other services on a secure network. We support our Clients generate more Business, and increase their Sales Production thru our Cutting Edge Technologies. The cPanel control panel is the most advanced and easy to use panel for managing all aspects of your secure web hosting service through Point Action Services. 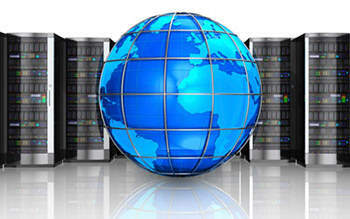 All web hosting accounts include access to Softaculous software library of over 300 1-click installs including Wordpress, Joomla, Magento, MediaWiki, and many more. All web hosting accounts on our secure web hosting servers are backed up to the cloud nightly and weekly so that sensitive data is always protected and can be restored at the customers request. All secure web hosting plans offer many features for the ability to run CGI, PHP 5.6, 7.0, 7.1, 7.2 Perl, and Python scripts. All common Apache Modules are installed including Curl, GD, Ioncube, Zend, and much more. All of our secure web hosting servers utilize CSF Firewall in order to protect against Dos/Ddos attacks, password hacking attempts. Providing the best security as we possibly can to help protect out our customers. All secure web hosting plans incudes secure POP3, IMAP, and SMTP accounts in addition to webmail access using RoundCube web mail client. Plus each account is protected by MailScanner to help stop spam. All secure web hosting accounts alows you to view information about your visitors in cPanel under AWStats.